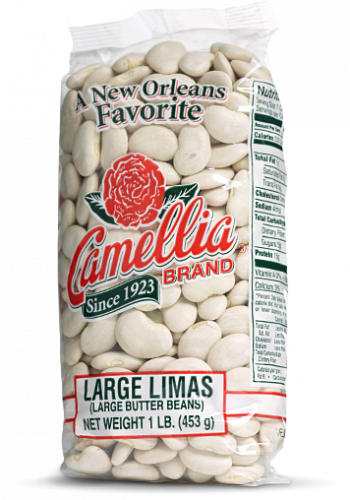 Camellia Brand Large Lima Beans (also called Butter Beans) are high in fiber and trace minerals, super hearty and impart a deliciously earthy and, well, buttery flavor. What more could a hungry soul ask for? 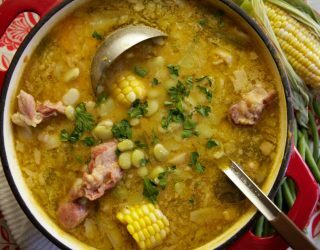 Cook them all day in chicken stock in a slow cooker to make them creamy and velvety. 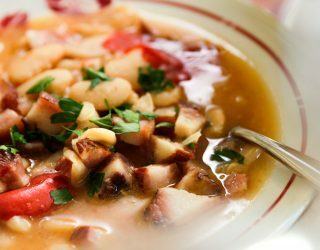 Butter beans are a staple in the American South, from Native American succotash as a side dish to a main meal like Kentucky Burgoo (a savory stew commonly served at Kentucky Derby Day parties). 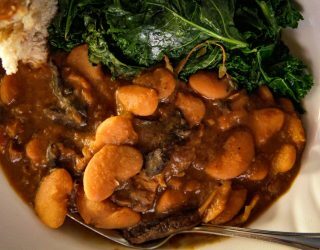 Like all of our beans, Camellia’s Large Lima Beans are non-GMO, gluten-free, and meet the “Hayward Standard” – the name our growers gave our bean quality standard – which exceeds the top USDA requirements. Try some today – we think you’ll taste the difference.